Selena Forrest walks the runway. The female comedians and actresses onstage at tonight’s Opening Ceremony show gave the most political statement of New York Fashion Week thus far: It was a funny political pageant run almost entirely by women. The presidential election was the theme. 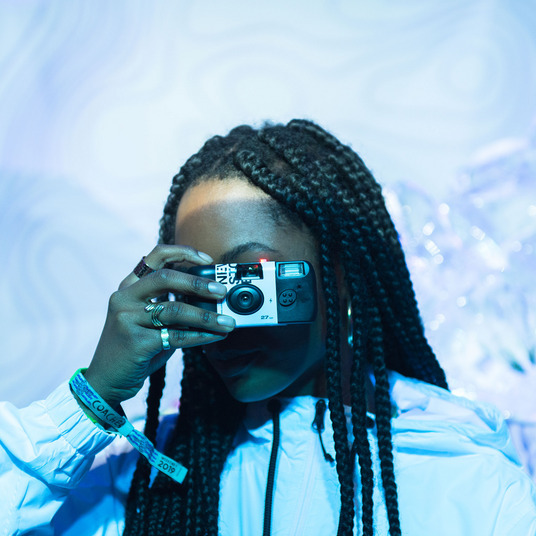 Aidy Bryant, Ali Wong, Whoopi Goldberg, Rosario Dawson, Jessica Williams, and more prominent women in the entertainment industry were the stars. Carrie Brownstein and Fred Armisen were hosts. While entering the Javits Center, guests walked past Olympic-style flag bearers wearing varsity jackets customized to each nation. More pages featured interviews with politically minded celebrities and activists, including Claire Danes, Eddie Huang, Sarah McBride, and Whoopi Goldberg. 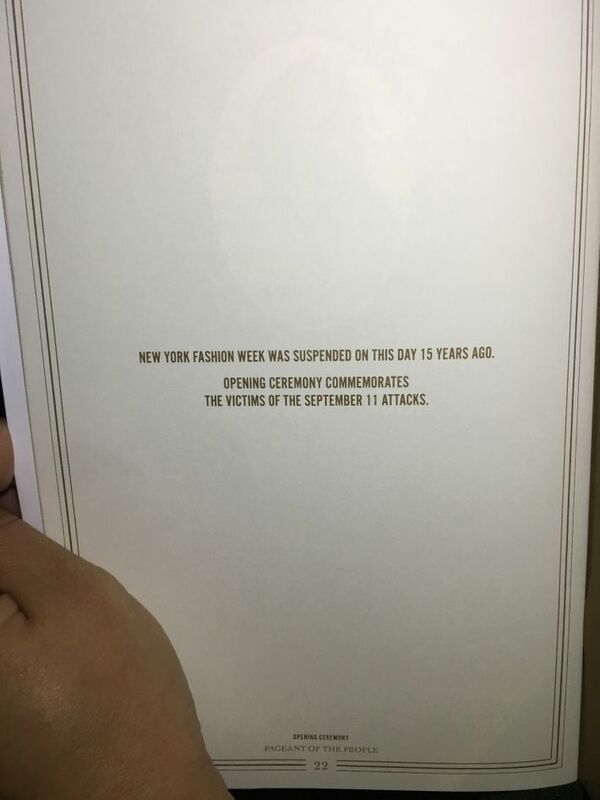 Another page honored the victims of September 11, which hit New York 15 years ago today. Once the show began, a mix of both models and comedians appeared onstage. Sixteen-year-old model Selena Forrest was the first model to appear, wearing a patterned dress and knee-high boots. Each special guest stepped forward to speak with Armisen and Brownstein about a political issue, funny or otherwise. For Rashida Jones, it was the refugee crisis. 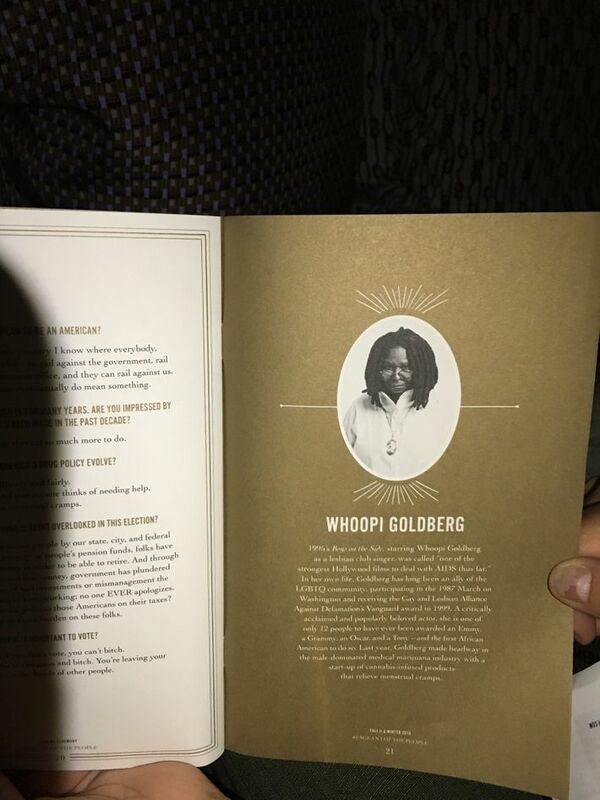 Whoopi Goldberg killed it, naturally. Just as bold as the political discussions tonight were the collection’s vivid colors, mainly in the form of striped dresses and red-heeled leather boots. Abbi Jacobson and Aziz Ansari posed with friends after the show. While exiting, guests could register to vote.